For those times when you want your amazingly perfect hair to look a little less perfect, a little more disheveled, to show the inner workings of a character breaking down from inside and outside, consider the finger wave fluff wig. 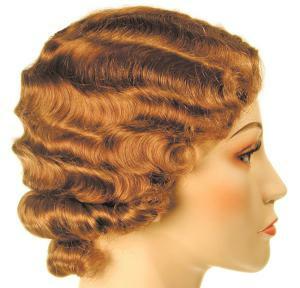 This wig, made to look exactly like the Finger wave short, only with the average wear of regular hair. Have a dramatic scene that you want to improve upon? Want to show the madness that is lurking within? This is the perfect wig for the perfect occasion. You will not be upset that you purchased this other, less perfect wig.